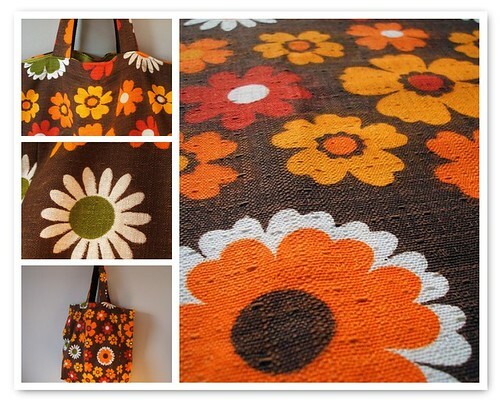 Here is the latest listing in Pouch's etsy shop! Also makes a great knitting bag, book bag, gym bag, diaper bag, you can carry many things in this handy tote! forget plastic bags, use this stylish, eco-friendly alternative instead! now you come to mention it esta sketch, my mum had some table cloths made in similar, thick fabric to this in the late 70s. But they were bright pink!